405 bone dry of cars — a beautiful sight, eh? 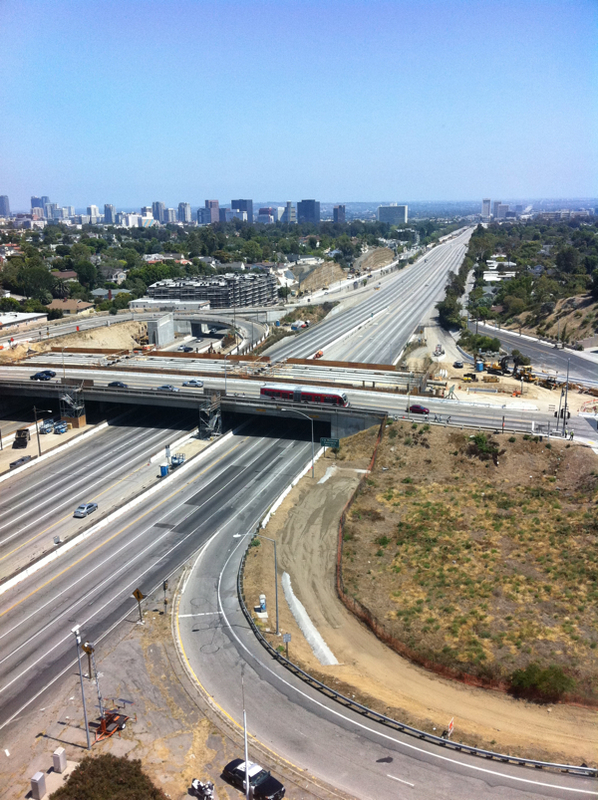 This photo was taken about an hour ago from the Angeleno Hotel at Sunset Boulevard looking south toward the 405. It’s quite a scene, considering this is the very stretch of road that regularly hosts some of Southern California’s worst traffic jams. I’ll bet that’s almost what it looked like when it first opened! I like how the Metro Rapid 761 bus is framed there.